Made from .25-inch thick quality acrylic. 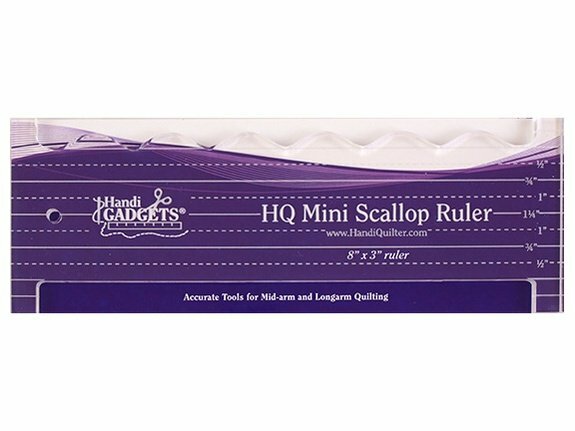 This 8″ x 3″ Mini Scallop ruler is for perfect mini-clamshells. Use the straight side for stitch-in-the-ditch. Ruler packaging includes instructions for use safety tips and design ideas. Use with the HQ Ruler Base. Dimensions: 8 x 3.5 x .25 in.